Harold G. Trout, age 80, passed away Wednesday, April 11, 2018, at his home surrounded by his family. He was born in Kennett, MO on May 16, 1937. His survivors include his wife of 56 years, Brigitte E. Trout; daughter, Pamela (Alvaro) Flores; son, Richard (Joy) Trout; grandchildren, Jeremy Trout, Stefanie Trout, and Christopher Flores; great grandchild, Alexandra Renee Trout; brother, Garry (Sharon) Walker; sister-in-law, Sue Walker; special cousin, Wilma Johnson; brother-in-law, Rudolf Baudrexl of Germany; sister-in-law, Elfriede (Rafael) DeGioa of Italy; sister-in-law Anneliese Flecksenhaar of Germany; niece, Ilona (Klaus) and daughters Carina and Nicole of Germany; and numerous nieces, nephews, and cousins. Funeral services will be held Tuesday, April 17, at 12:00 PM, at the Chapel of Neal-Tarpley-Parchman Funeral Home, with Pastor Stephen R. Jackson, Sr. of Legion to Legend Ministries officiating. His family will receive family members and friends Monday, April 16, from 5:00 to 7:00 PM, and Tuesday, April 17, from 11:00 AM until the hour of service, at the funeral home. Burial will be in Kentucky Veterans Cemetery West, where full military honors will be rendered. Honorary pallbearers will be his comrades from the 327th Tiger Force, Vietnam. Mr. Trout proudly served his country as a combat veteran with 30 years of active duty with the US Army. He served two tours in Vietnam. 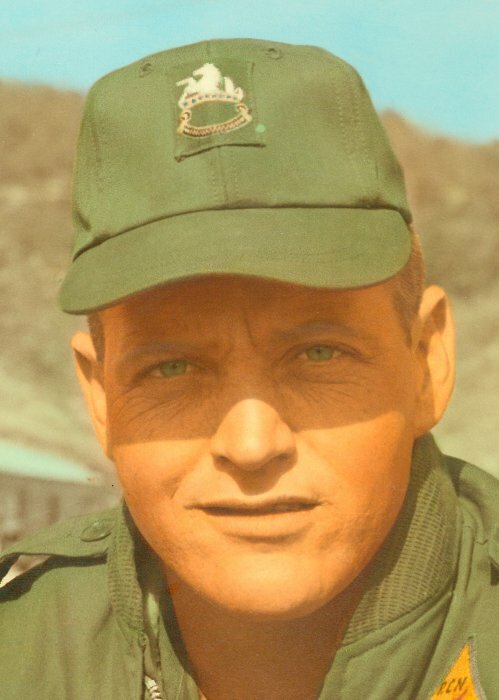 His other military duty stations included Korea, Germany, Ft. Campbell, KY, and Ft. Benning, GA. His army medals earned include the Army Service Ribbon, four Overseas Service Ribbons, Good Conduct Medal, National Defense Service Medal, Senior Parachute Badge, Combat Infantry Badge, Air Assault Badge, Vietnam Service Medal with six Campaign Stars, Combat Infantry Badge, Vietnam Campaign Medal, Purple Heart Medal, four Overseas Bars, Vietnam Cross Gallantry with Palm, Armed Forces Honor Medal (2nd Class), Civil Actions Honor Medal (1st Class), Aircraft Crewman Badge, Army Commendation Medal, Bronze Star Medal (1st Oak Leaf Cluster), Army Commendation (1st Oak Leaf Cluster), Meritorious Service Medal, and Ranger Tab. Following his retirement from the military, Mr. Trout served with the Montgomery County Sheriff's Department for several years. He was preceded in death by his mother, Jerline Trout and her husband Mansel E. Trout; father, Elzie Walker; brother, Mike Walker; and mother-in-law, Mathilde Baudrexl. Upon retirement, Harold and his wife enjoyed traveling throughout the United States, visiting almost every state and many historical places. He especially enjoyed the Old West and Civil War history. The family would like to extend heartfelt thanks to the Tennova Hospice team and the offices of Dr. Peter Silkowski and Dr. Guillermo Nava, for their excellent care and concern. A special thank you to Mrs. Rhonda Miler for her care, concern, and assistance during Mr. Trout's illness. We cannot thank you all enough.